Sam, a pre-med college student, routinely gets dialysis and develops a urinary tract infection. The infection is from a bacterium that the news media is calling a "superbug" from India. Sam does some internet searches to find out more information about his condition. He examines popular news stories, primary literature, and considers what the United States should do about the increased prevalence of antibiotic resistance. To explore this issue, students form groups in which they are a politician, a parent, or a doctor, with each student bringing different information to the discussion. The case also discusses evolutionary principles and how they connect to antibiotic resistance. The case was developed for an introductory biology course taken by science majors who are not majoring in biology. 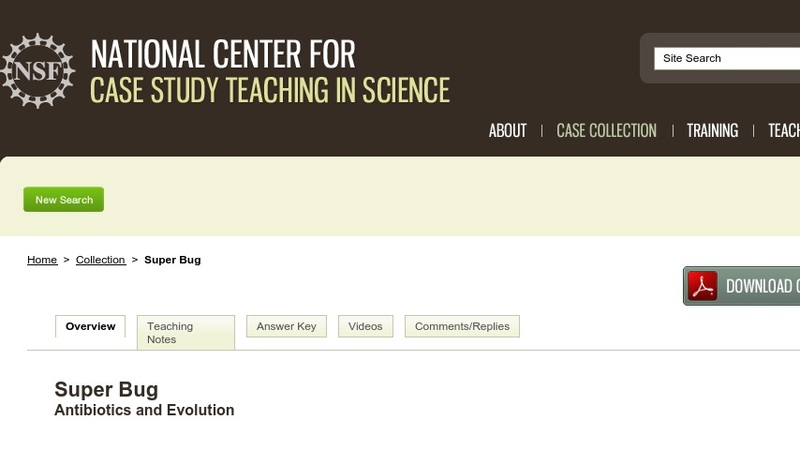 It could be used in any introductory biology course or even as an introduction for a specific course on evolution.